From the floating markets to the rice paddy fields, this journey is much to do with countryside as it is with the major cities, towns and beaches. Explore Vietnam’s diversity – from the canals and the beaches to the colourful hill tribes. On arrival you will be transferred to the Grand Hotel for two nights. Travel to the Cu Chi Tunnels which were constructed by Viet Cong fighters during the Vietnam War. Continue to the Reunification Palace, History Museum, the Notre Dame Cathedral, the Central Post Office, Dong Khoi Street and Ben Thanh Market. This evening enjoy a relaxing dinner cruise. 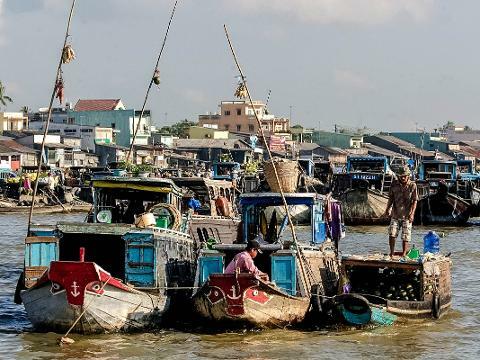 Spend a day exploring the colourful floating markets, emerald rice fields and lush back waterways of the Mekong Delta. Journey to Cai Be and Vinh Long and cruise through the many tributaries of the Mekong. Walk to the villages and wander amongst vibrant tropical fruit gardens. Continue to Can Tho and stay one night at the Victoria Can Tho Hotel. Early this morning visit the bustling floating markets of Cai Rang where countless boats, loaded with local produce are moored alongside the riverbank ready for trading. 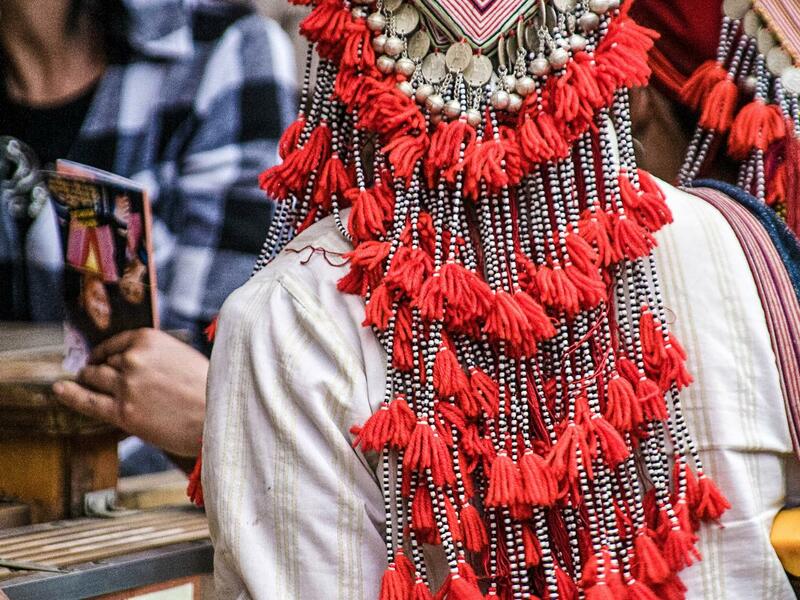 Sail through the markets and watch the locals haggle and trade their wares to interested buyers. Explore the rural city of Can Tho, passing the local market and Khmer Pagoda. Return to Saigon and stay one night at the Grand Hotel. Fly to the tropical seaside resort town of Nha Trang. Stay two nights at the Novotel Hotel. Afternoon tour to the Po Nagar Cham Tower. Day at leisure, to freely enjoy the stunning sandy beaches, turquoise waters and breathtaking mountain views of Nha Trang. Then again you may choose to venture to nearby islands or villages - or simply relax. 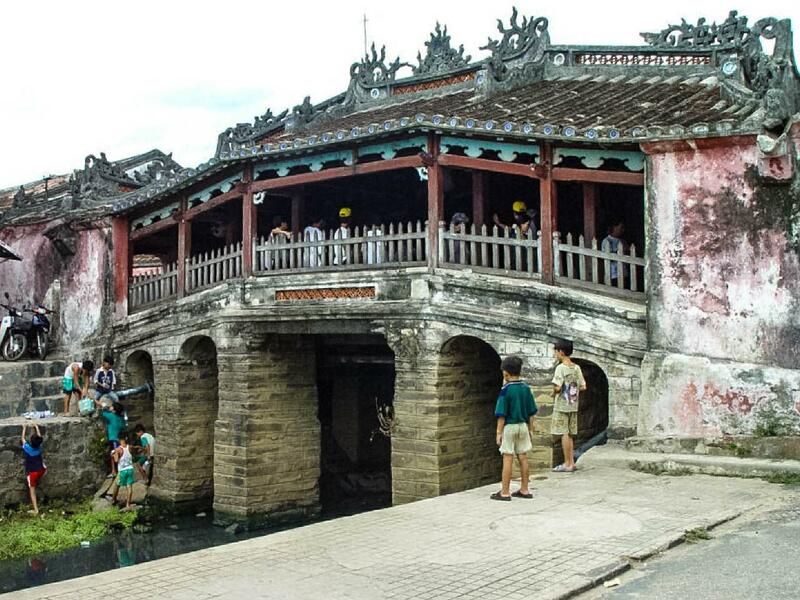 Fly to Danang where you will be transferred to Hoi An and stay two nights at the Hoi An Historic Hotel. 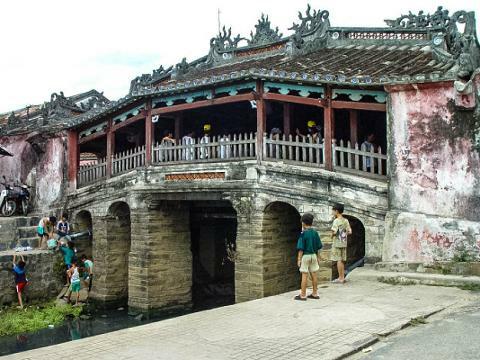 Described as a ‘living museum’ with narrow winding streets and rows of carefully-preserved ancient houses, Hoi An has unique charm and atmosphere. Enjoy a cyclo tour, visit the Japanese covered bridge, a Chinese communal house, take a boat ride on the Thu Bon River and visit Thanh Ha where skilled locals produce beautiful pottery. Travel via Marble Mountain to Non Nuoc Beach and the Cham Museum in Danang. Continue to Hue and stay one night at the Alba Spa Hotel. This afternoon, take a boat ride along the Perfume River and see the magnificent architecture of Thien Mu Pagoda and visit Dong Ba Market. Morning visit to the Imperial Tomb of Emperor Tu Duc. Transfer to the airport for your flight to Hanoi and stay two nights at The Ann Hotel. Enjoy an evening at the Water Puppet Show. Today visit Ho Chi Minh’s Mausoleum, his wooden cottage and the One Pillar Pagoda. Enjoy a walking tour through the bustling Old quarter and continue to Hao Lo Prison, formerly known as the ‘Hanoi Hilton’ during the Vietnam War. Stop will be made at the Buddhist Tran Quoc Pagoda, Quan Thanh Temple and the Museum of Ethnology. This evening enjoy dinner at the Ly Club. Morning at leisure. This afternoon visit the Temple of Literature and the History Museum Early this evening you will be transferred to the railway station to board the overnight train to Lao Cai. Arrive Lao Cai and transfer to Sapa where you will stay two nights at the Victoria Sapa Hotel. Once an old French hill station during the colonial days, this lovely valley region is home to the Dao, Giay and Hmong minorities. After lunch, visit the Trung Do village and stop at a traditional Tay minority house for tea, follow by a cruise (replace by buffalo carriage ride Dec-Apr) along the Chay River and enjoy the picturesque scenery and sights. Today, explore the villages of Lao Cai and Ta Van where you will meet the local ethnic minority population still wears their distinctive traditional clothing. 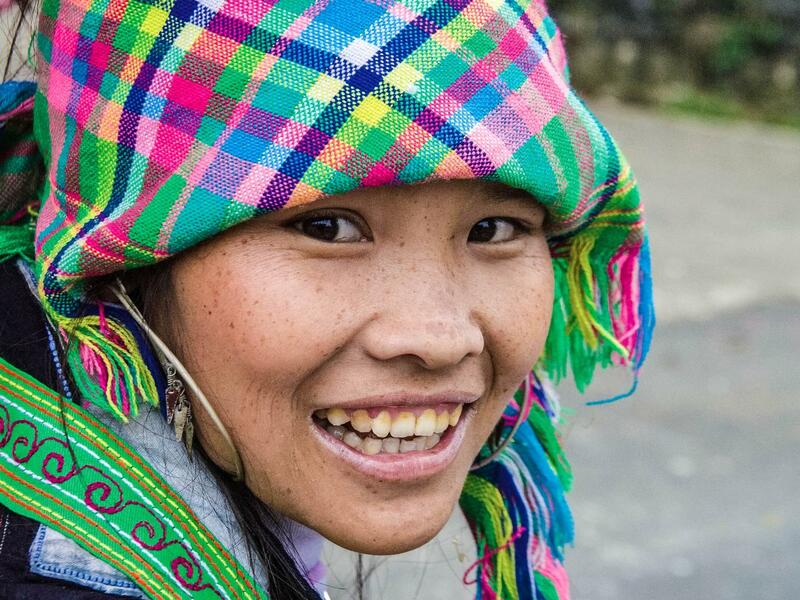 Visit the Zay hill tribes and obtain a glimpse into their local way of lifestyle. Enjoy the stunning mountain scenery today as you travel to Cat Cat villages in Muong Hoa valley. Visit the Black Hmong ethnic group in their traditional clothing of deep blue indigo, here you can learn the skill of weaving and embroidery of their traditional clothing. Transfer to Lao Cai for your overnight train to Hanoi. Early morning arrival into Hanoi for transfer to The Ann Hotel for one night. Remainder of the day is free. Travel to Halong Bay to join your overnight cruise on board the “Indochina Sails” junk. Enjoy a leisurely sail through the emerald green waters of the bay. 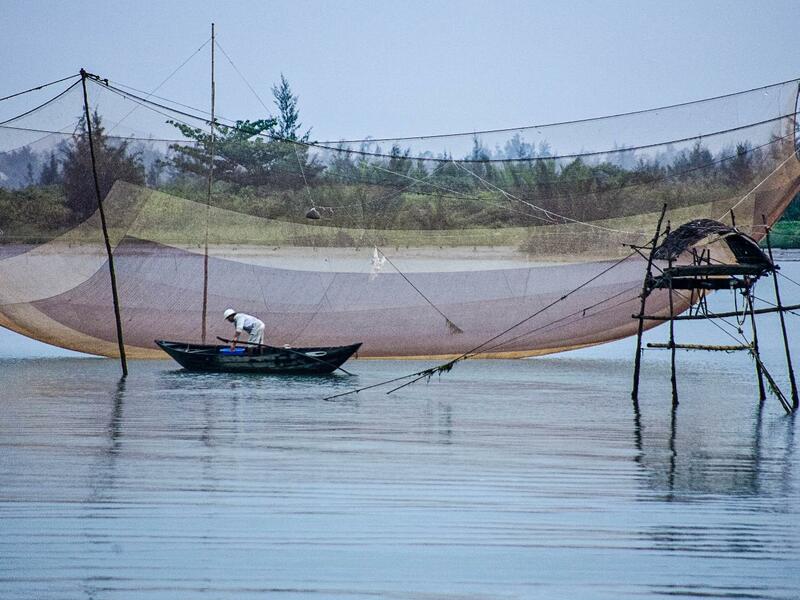 Watch the sunrise over the bay before your return to the pier and transfer back to Hanoi. Stay one nights at The Ann Hotel. Farewell Vietnam as you transfer to the airport for your onward flight.